35 years, 7 months, 29 days old age. Michael Thangadurai will turn 36 on 23 August, 2019. Only 4 months, 1 days, 10 hours, 22 minutes has left for his next birthday. Michael Thangadurai has celebrated the total number of 35 birthdays till date. See the analysis by days count and bar graph. Michael Thangadurai was born on 23rd August 1983. He is an Indian Dancer and Actor. He works predominantly in Tamil Cinema. As a Dancer, he became famous after he won the dance reality show Jodi No. 1 partnering Hemalatha, who is a famous TV Actress. As an Actor, he is best known for his performance in thriller film, Burma. Michael Thangadurai was passionate about dancing and thus joined ‘Foot Loose’, which is an initiative taken by M.Edwin where he teaches dance. The school is immensely popular and known for producing special dancing talents through National level competitions or through dancing reality shows on Television. With the help of the dancing school, he was made contestant on the Dancing reality show Jodi No. 1, which he won hands down and that brought him to fame. 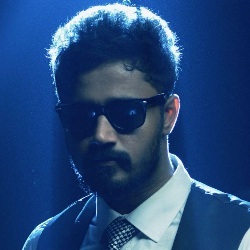 He already made his debut in 2010 with the flick Kanimozhi, but with a brief role. His first full-fledged solo released in 2014, a romantic flick Nalanum Nandhiniyum, opposite actress Nanditha. The movie didn’t do well but the very same year he gave a hit with the thriller film Burma. The movie was well appreciated both critically and commercially. He was recently seen in the fun-filled romantic blockbuster film called Padhungi Paayanum Thala. This film was directed by former S.A. Chandrashekhar's associate named Moses Muthupandi. He was cast alongside MS Bhaskar and Vela Ramamurthy in this film. In 2011 he married Vandana who participated alongside him in dancing reality show Boys vs Girls.